LGfL's diagnostic online-safety tool CyberPass has received a prestigious 2017 Education Resources Award in the key category 'Primary Resource or Equipment (including ICT)'. LONDON - March 27, 2017 - PRLog -- Educational not-for-profit the London Grid for Learning is celebrating its latest success in scooping an Education Resources Award (ERA) for its key stage two online-safety tool CyberPass in the category 'Primary Resource or Equipment (including ICT)'. This award recognises the impact and efficacy that CyberPass had made in keeping young people safe; in the first ten weeks of 2017 alone, the tool was used to ask pupils 245,000 crucial online-safety questions. The annual ERA Award Ceremony is run by the British Educational Suppliers' Association to recognise the best of the UK's educational-technology sector. Commenting on the award win LGfL Content Manager, Bob Usher, said, "LGfL are delighted to win this award, especially given the fierce competition from other high-quality and transformational curriculum resources. With more children now online than ever before it is crucial teachers are provided with tools to teach online-safety effectively, rather than merely as a tick-box exercise." 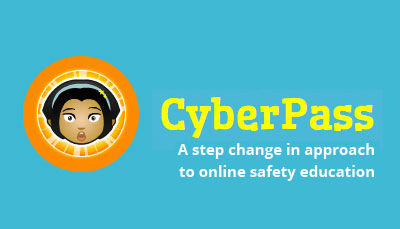 CyberPass presents a new approach to teaching online-safety, taking the conventional wisdom about how to tackle this ever-more important topic and turning it on its head. Designed to help teachers meet national curriculum targets which call for pupils' to be "responsible, competent, confident and creative users of information and communication technology", CyberPass is in essence a trackable, data-rich, competence-based online-safety assessment and training tool. Rather than delivering a series of lessons on predefined topics and then testing pupils on their abilities, CyberPass helps teachers identify strengths and weaknesses in the first instance, in order to target time and resources on the topics for which children really need support. Pupils take a quiz on one or all of the eight key e-safety themes – Settings, Privacy, Looking, Share, Playing, Talking, Friends and Money. Teachers can then view the results on their dashboard broken down by theme, competence and/or question, and tailor their teaching accordingly, in what is a very time-pressured yet important curriculum area. Pupils are given immediate feedback on their answers – whether correct or incorrect, and the reasons why. To ensure they read the feedback, an incorrect answer will later trigger a question on the same competence, but with different wording and a different answer. In order to achieve the CyberPass for one of the eight themes listed above, pupils must correctly answer a question on each subtopic. This enables teachers to teach more effectively and keeps pupils engaged by not teaching them what they already know. Commenting on the resource ERA judges said, "CyberPass addresses an issue which is very topical and where there is a dearth of resources. The graphics are attractive and the content, explanations and illustrations are appropriate. A very helpful resource."